dressed up like a lady: Birthday Love. Well, it was my birthday this past weekend, and I must say, it was one of the best ever. MC and I had a nice family party with his little girl, our nieces, Alessandra, MC's mom, and a lot of glittery tiaras. It was wonderful. 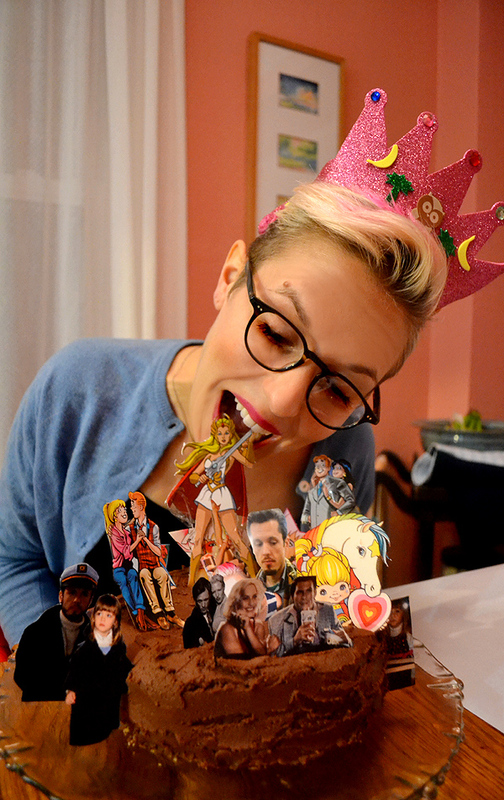 Also: I got a cake decorated with a smattering of my favorite people!